Discover the lesser known historic Southern “heel” of Italy. This tour focuses on the areas fascinating history, UNESCO listed sights and the delights of the local wines and cuisine. The tour begins in Bari where you’ll experience a fascinating walking tour of the old town. You will also visit the UNESCO listed Trulli, white-washed conical roofed houses in Alberobello. Enjoy coffee prepared by renowned pastry chef in Polignamo. In Masseria Grieco you will experience a tasting of virgin olive oil, wine and local bakery products. 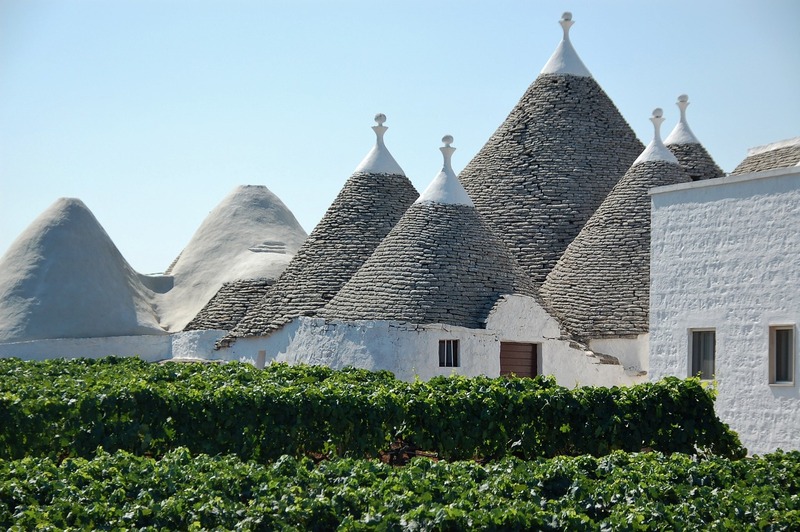 This tour includes a guided city tour of Apulia, boat tour in Leuca, wine, cheese and pasta tasting in Manduria and a guided tour of the UNESCO heritage site of Matera.